Parenthood can be an incredibly exciting time for many, and parents everywhere carry hopes of safely giving birth to newborns free of health complications. This is an obvious concern and priority for many parents, but with the new breakthroughs in genetic engineering, how far will they go to prevent illnesses in their children? 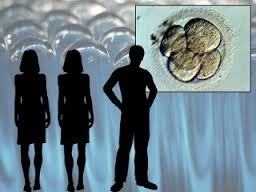 The Federal Drug Administration is currently weighing in on a controversial procedure of “three-parent babies,” where DNA from three people would be used in an in vitro fertilization technique, with the attempt to prevent mitochondrial diseases such as respiratory problems and heart disease. 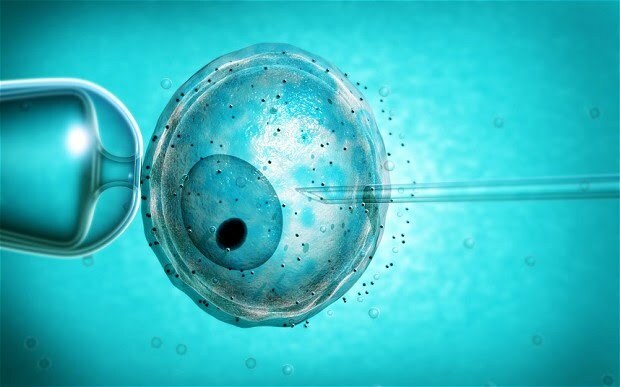 These diseases are passed down from the mother’s genes, and the procedure would allow an embryo to contain the DNA of the intended parents along with healthy mitochondrial DNA from a female donor, which explains the “three-parent” process. If approved, the United States would be following suit with Britain, which approved the technique last June. Susan Soloman, director of the New York Stem Cell Foundation, explained the process. "What we're doing is, without at all changing the DNA of the mother, just allowing [the fetus] to grow in an environment that isn't sick," said Soloman. Although enticing, this new technology is “not without its risks,” according to Art Caplan, a medical ethicist at NYU Langone Medical Center in an interview with CNN. He also added that he feels preventing diseases through this procedure is ethical, as long as its safety can be verified. Mrs. Archer, health teacher at VB and mother of two children, said that from a health standpoint, she can see why parents would consider doing such a thing for the sake of the child’s well-being. Although as a parent she expressed that she personally wouldn’t support it. Sophomore Tom Rowles considered the argument of the participants in this procedure perceived to be breaking ethical codes. “I guess that’s where people consider the ‘playing God thing,’ because people think, ‘maybe diseases happen for a reason,’ and that’s where the negative comes in,” said Rowles. Caplan did express that the possible future of the procedure troubles him. "The big issue over the next 5 to 10 years is going to become how far do we go in pursuit of the perfect baby," said Caplan. "Do I think we're going down that road? Yes. Does it creep me out? Yes. Are you going to be able to draw a clear line? I don't think so." This is also a concern that Archer expressed. “I think if you asked this 50 years ago, people would have thought, ‘What? Why would we do this?’ So I think if we say yes now, in 10 or so years, all of a sudden we’re drawing the line at hair color. And then we’re drawing the line at eye color. Or drawing the line at how tall [the child] is going to be,” said Archer. Although, Arriaga said that he is in full support of the science as long as it is used only for the current intentions of benefiting the health and well-being of the population. “I’m all for taking humans to their full potential, and if that’s genetic engineering, then why not?” he said. While the FDA is considering this science, their job is only to verify the safety and benefits of this procedure, not the ethics. If this does receive approval, then the rest is up to parents: is this a promising step to disease prevention, or a slippery slope in an attempt to perfect the human race?